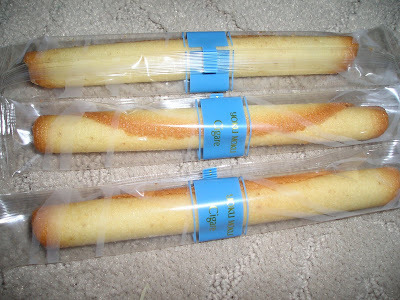 My husband brought us this very tasty snack from Japan called Yuki Mogu Cigare that his boss gave them, it's pretty tasty! Thanks Hon, we loved it! Okay, I am hitting the bed, sorry fr those blogs that I wasn't able to visit today, will catch up tomorrow if I'm free... Thanks for visiting and commenting, goodnight! It has sweet cream inside the roll and it taste really really good! Very sweet for a cigare hehehe..